How Easy Do We Have To Make It To Vote? On Friday at the South by Southwest Festival in Austin, President Obama said: “We’re the only advanced democracy in the world that makes it harder for people to vote. But how hard is it to vote? President Obama told SXSW it is “much easier to order pizza or a trip” than to vote. That is objectively not true. Thirty-five percent of states have no requirement voters show ID to vote, another 25 percent accept secondary “proof” such as a utility bill to prove residency and who you are. 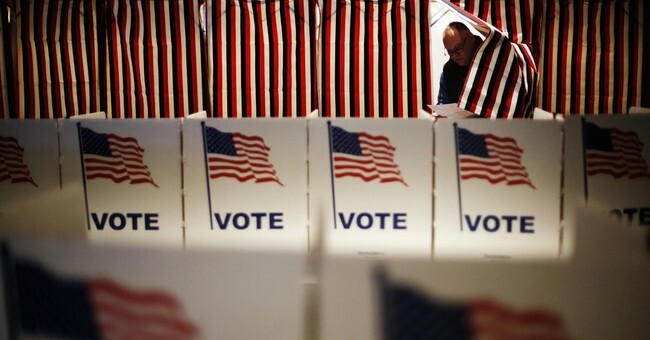 Only 20 percent of states have a strict photo ID requirement to vote. Beyond not protecting the sanctity of a person’s vote through requiring them to prove they are themselves – hardly a barrier in the 21st century – absentee voting and early voting have made it easier than ever to vote. Too easy, in fact. To vote absentee used to require providing a verifiable reason you couldn’t vote on Election Day. No more. Now, 27 states allow “no excuses” absentee voting, which expanded to more than 30 percent of the vote in 2008. In 37 states, polls now open days or weeks early. This should raise the question: How easy do we have to make it to vote? Voting wasn’t difficult to begin with – go to your polling place on Election Day and cast your ballot. Simple. Sometimes there were lines, but lines weren’t considered unjust or disenfranchising. Waiting was a part of life before the immediacy of the microwave and Internet. Is waiting now a bridge too far? A violation of rights? Of course not. But to say as much, to suggest returning to a “day of” voting method, would be viewed as akin to advocating a poll tax. This all ignores the serious problems with early voting, not least of which are information changes. Once a ballot is cast, it’s cast. New information in the weeks leading up to Election Day – scandal, change in position, anything – will not bring that ballot back from the box. Voting is a measure of the public’s will at a given time. If that given time is changed or extended, it perverts the true measure of that will. Another problem with early voting is a fact of nature: People die. According to the Centers for Disease Control, 2.6 million Americans died in 2013, which works out to 7,115 deaths per day. Today, 34 states and the District of Columbia offer early voting, with many offering voting 30 days of more before Election Day (Wyoming is 40 days). The law of averages dictates many people who vote early die before Election Day, but because ballots are anonymous, they count. They should not. Elections can be decided by a few hundred votes, some by as little as one. Jokes about Chicago aside, the law of averages dictates people who have died have been difference makers in who our elected officials are. This should not be. Fraud, too, is a real problem, and it doesn’t have to be rampant to swing an election. Stories of trusted government officials stuffing ballot boxes are common, as are stories of people showing up to vote being informed their ballot had already been cast and studies suggesting illegal aliens have voted in large numbers. There is a lot of talk about making voting easier, but perhaps it’s time we shift the discussion to protecting the sanctity of the vote. Doing away with early voting would be a good step in that direction, as would returning the requirement to show cause for voting absentee and proving you are who you are when you do vote. Voter fraud may or may not be rampant, but when so many races come down to a few votes, it doesn’t have to be. Ensuring ballots were accurately cast by people eligible to do so should be our top priority.